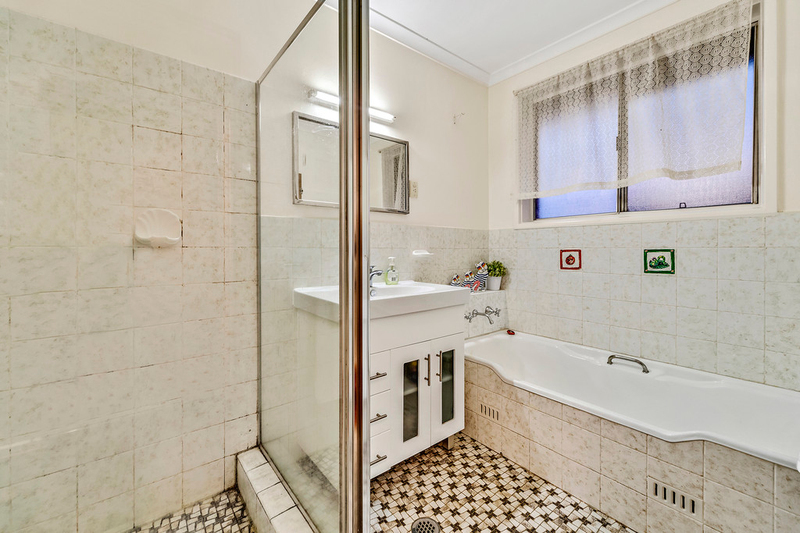 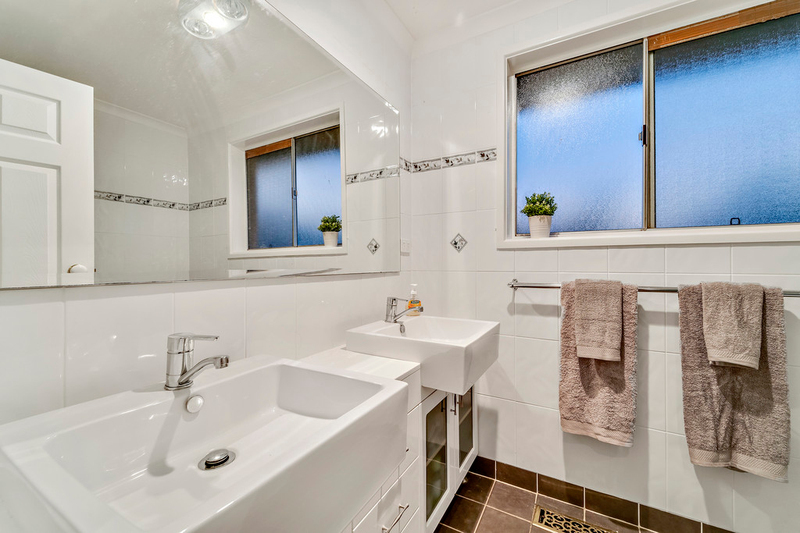 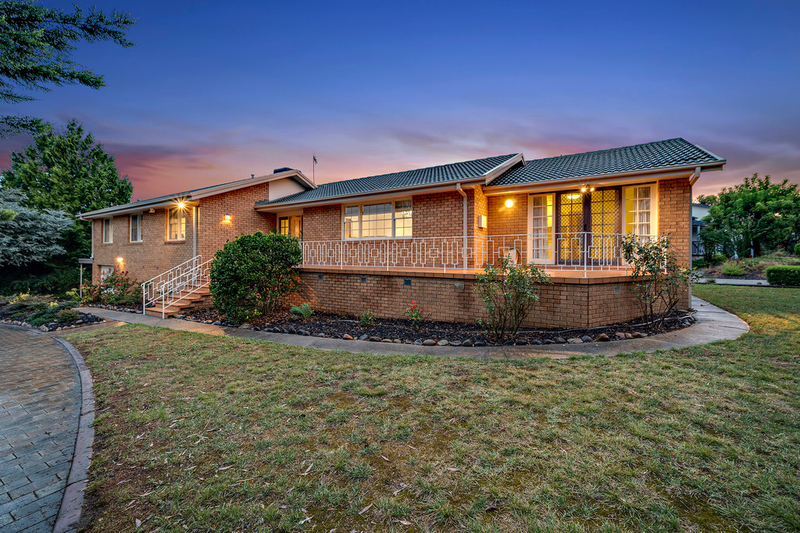 Perfectly presented, this large solid brick home offers five bedrooms, three bathrooms, an open plan dining and lounge, two-way kitchen with adjacent meals area, study nook, large laundry and features a separate parent retreat or granny flat complete with kitchenette, living room, and bedroom with ensuite and walk-in robe. 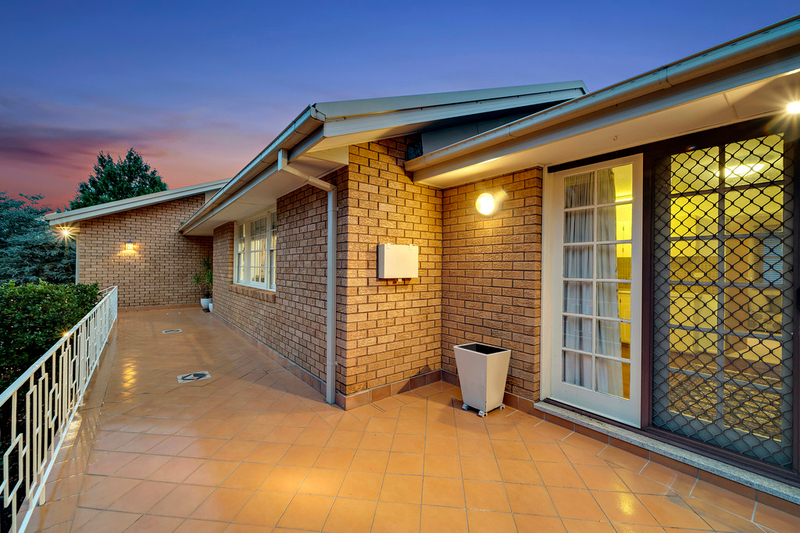 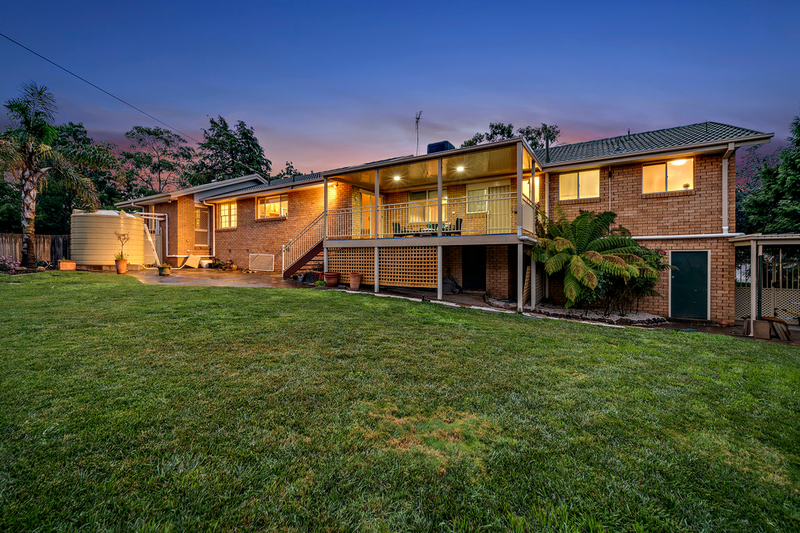 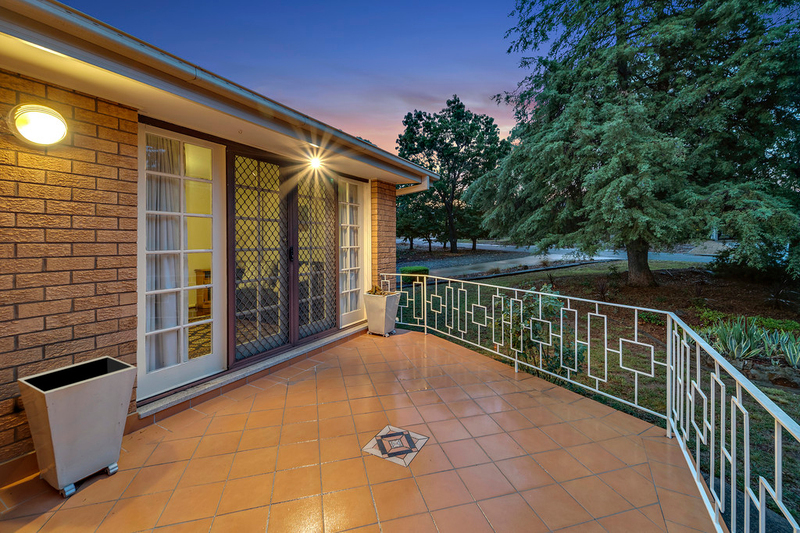 The property also comprises of a spacious front terrace, expansive alfresco entertaining deck at the rear, single lockup garage and one carport space. 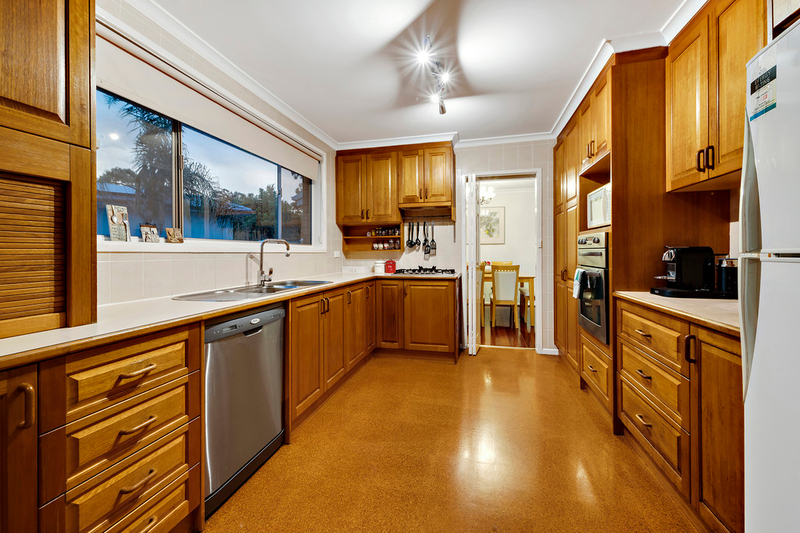 Slightly elevated and north-facing to capture breezes, features include: polished hardwood timber floors in living areas, plush carpet in bedrooms, French doors open out onto front terrace, sliding sash windows, ducted gas heating and evaporative cooling, neutral interior décor, versatile living options for granny flat or parent/ teen retreat, covered timber deck, semi-circular driveway, established gardens and benefiting from two large water tanks. 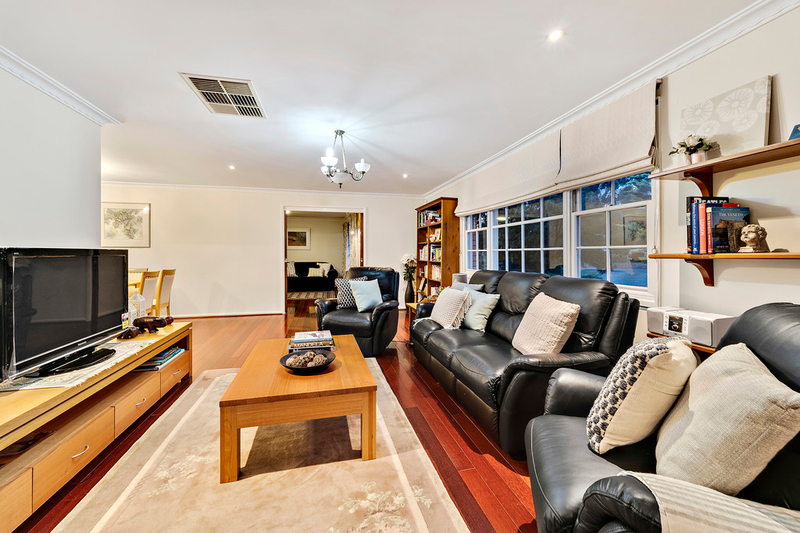 For families who enjoy both the pleasures of entertaining and the peace and quiet that comes with your own space, this property affords both. 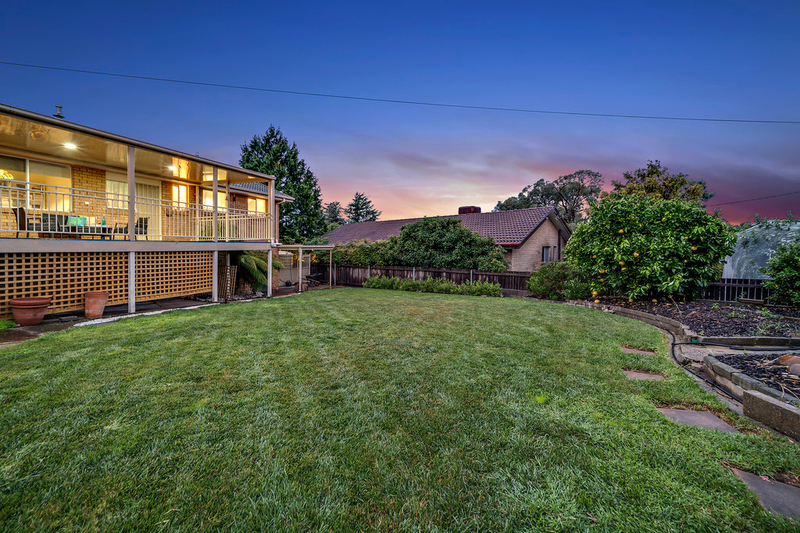 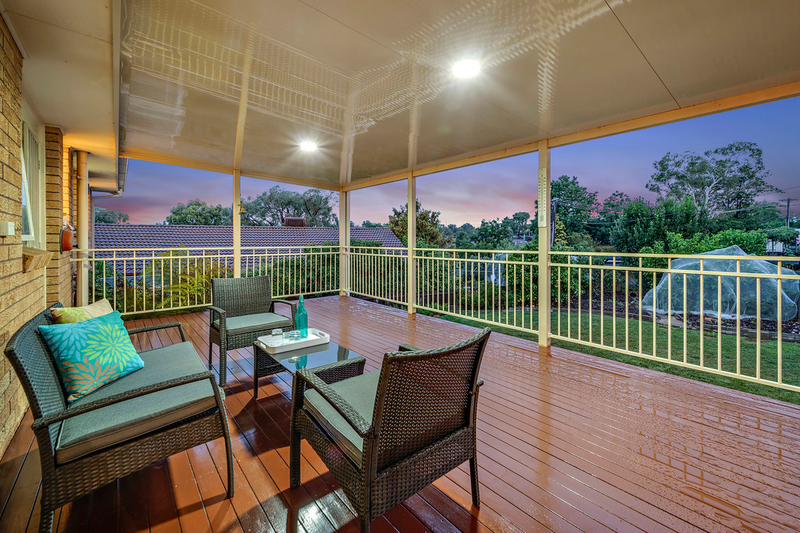 Enjoy evenings out on the deck, BBQ sizzling and cool glass in hand as you entertain friends or relax into your calming space inside, with a good book as you nestle into the separate parents retreat. 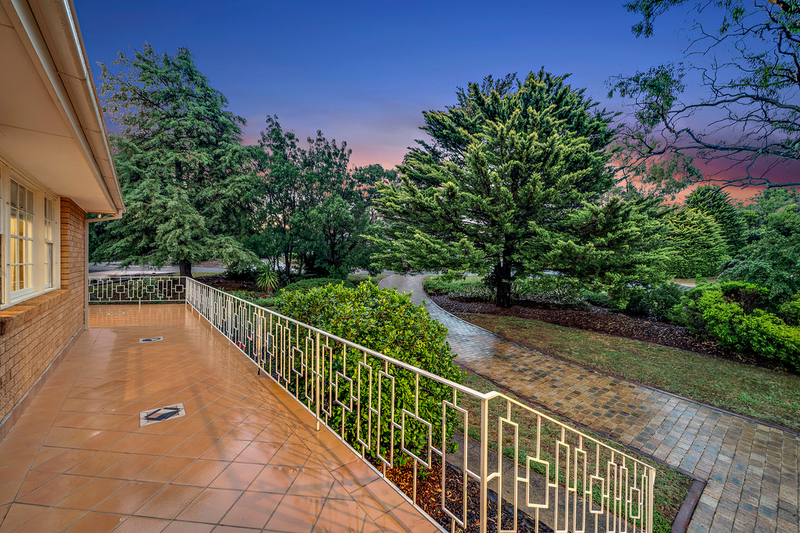 Beautifully presented from the road, set back along the semi-circular driveway, the property is framed by established trees and low-maintenance landscaped gardens. 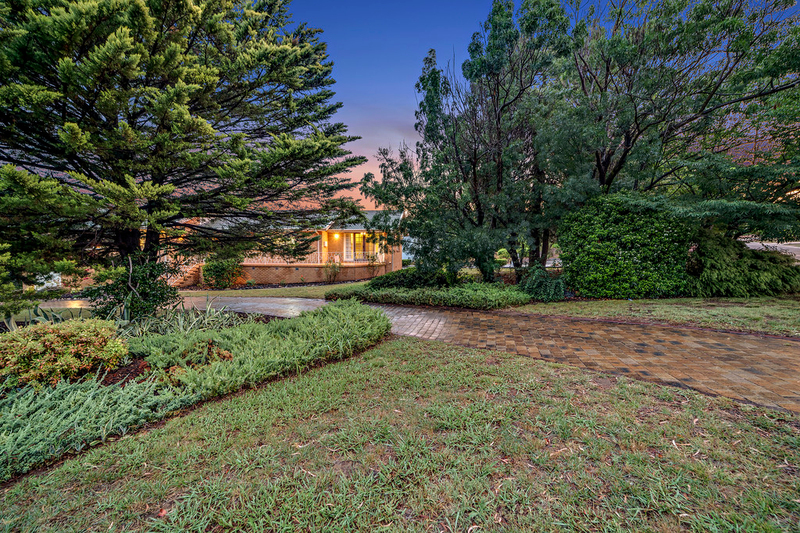 The substantial 1144 m2 corner block offers plenty of lush green lawn out the back and is boarded by more leafy shrubs and flowering fruit trees, hiding neighbours from immediate view. 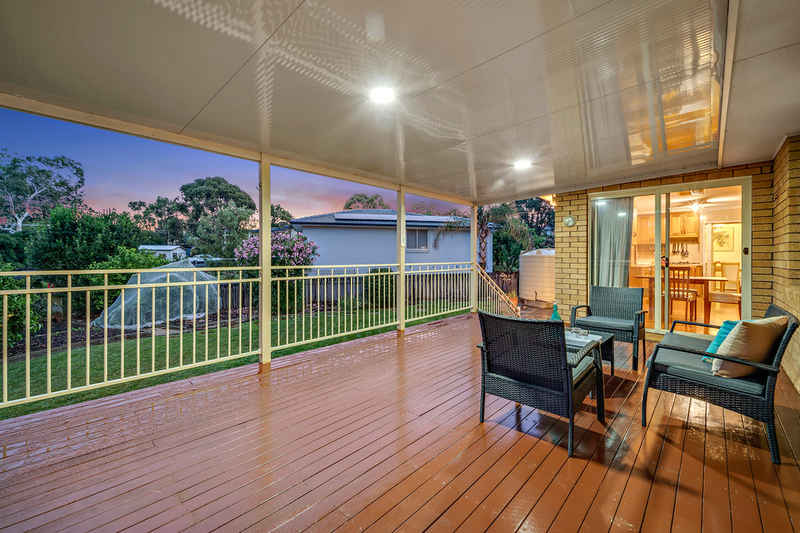 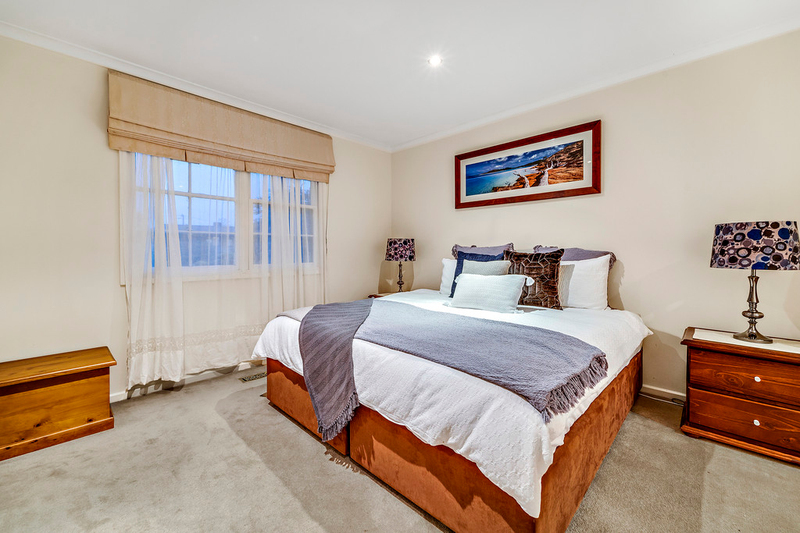 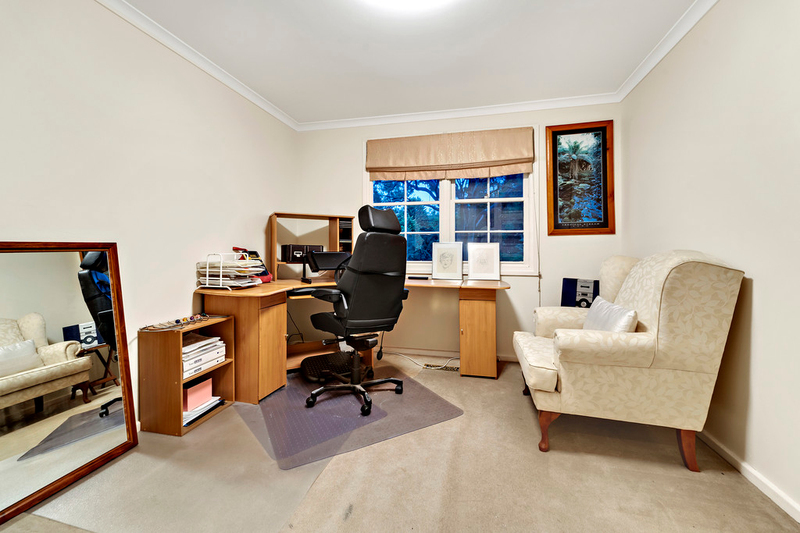 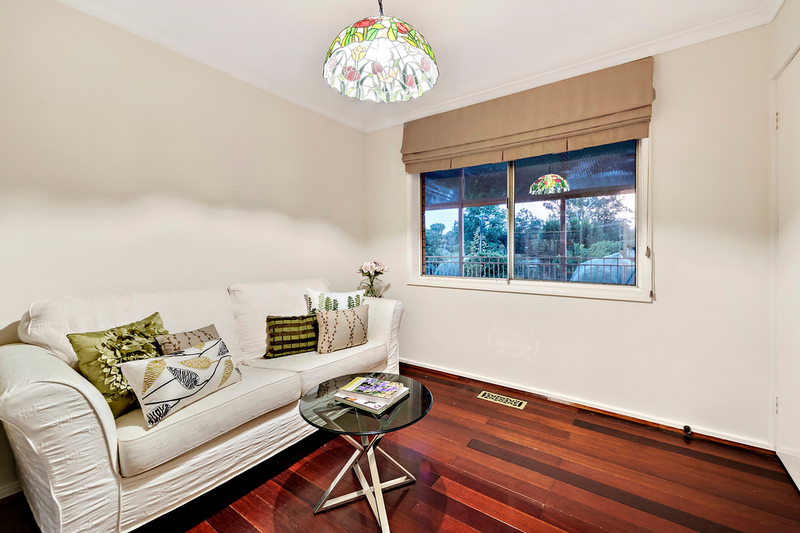 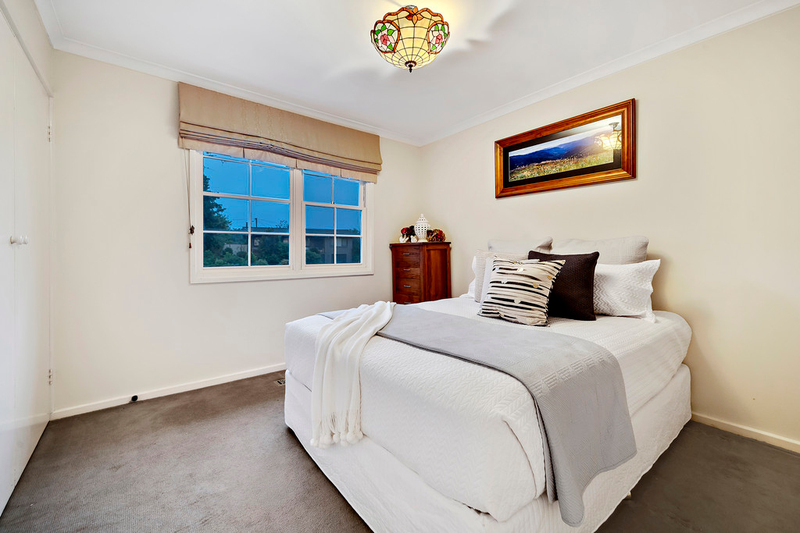 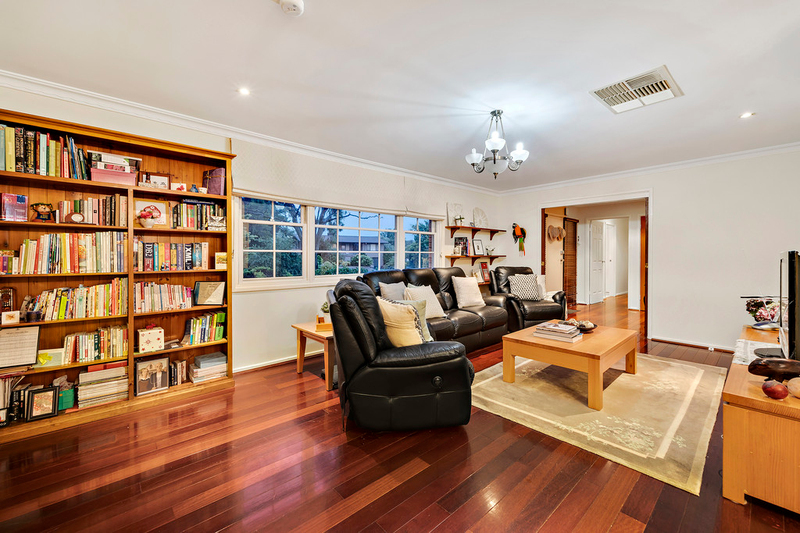 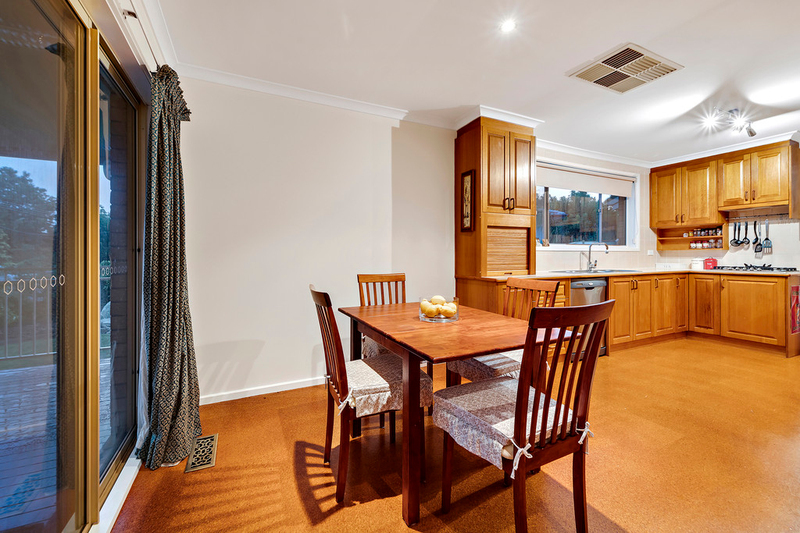 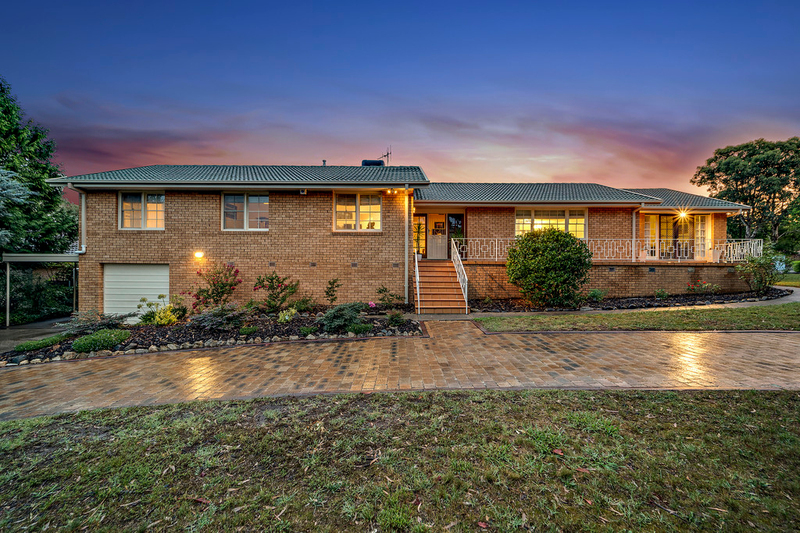 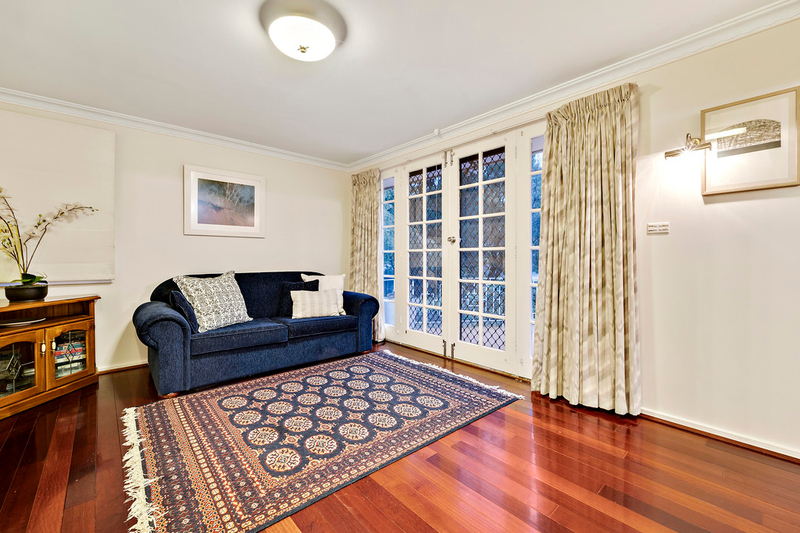 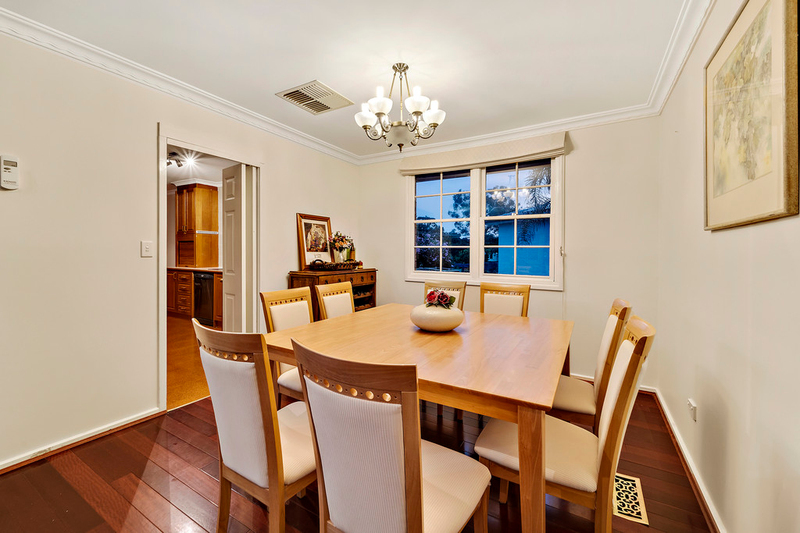 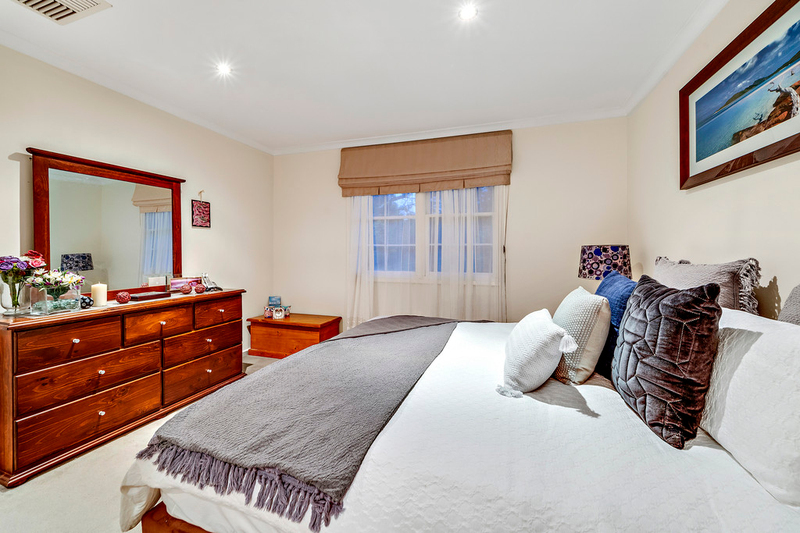 Situated in a family-friendly street, within walking distance of cafe, shops, bus, park, playing fields, both Weetangera and Macquarie Primary Schools, close to nature reserves, only five minutes to Westfield Shopping and just 14 minutes' drive to Canberra CBD. 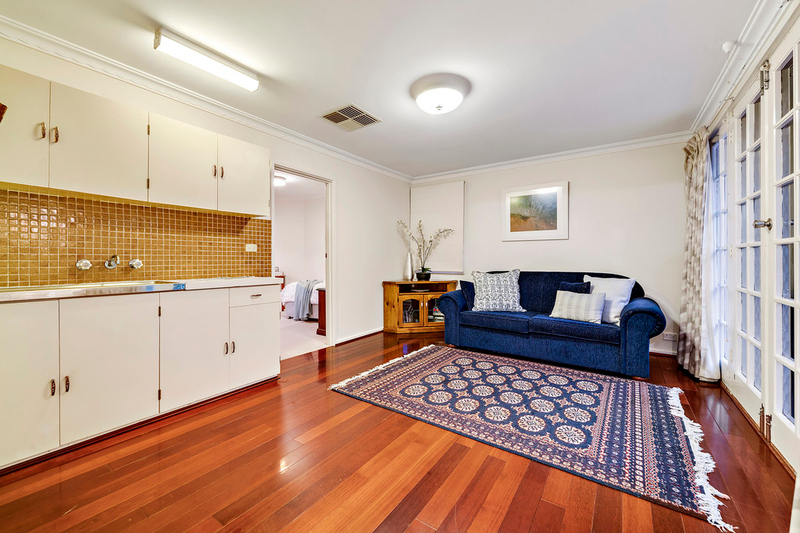 Buyers seeking a spacious family home offering versatile living arrangements and located in a sought-after area, MUST inspect. 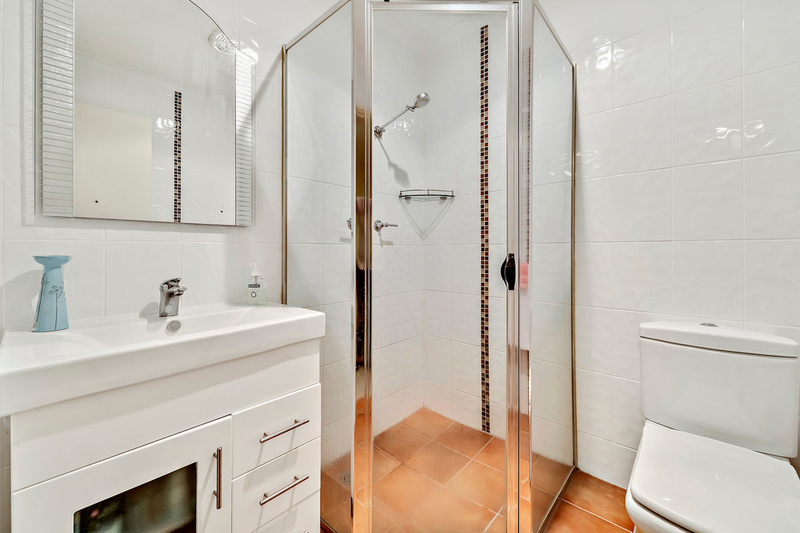 - Outstanding location, close to it all!